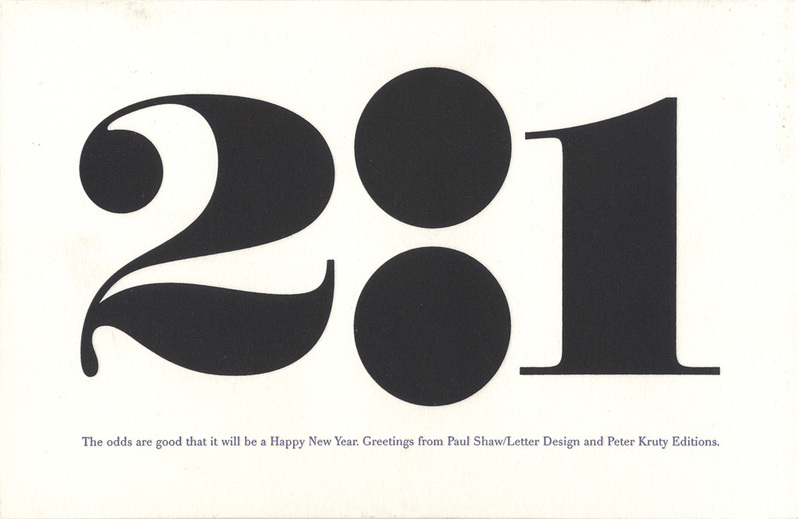 2001 New Year’s card. Set in Falstaff and Monotype Walbaum. Printed letterpress by Peter Kruty Editions.